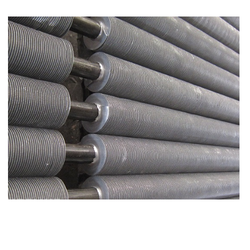 We are leading Manufacturer,Supplier and Exporter of an extensive range of Finned Tubes in Chennai, India. 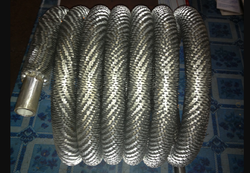 These are well known for their tensile strength and corrosion resistance. 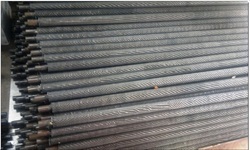 These tubes are widely used in various industries thus meeting their needs. We are also offering customized options for these tubes at most competitive prices. In the range of heat transfer equipment and components, we bring forth for our customers Carbon Steel Finned Tubes of optimum quality standards. In accordance with the specific requirements of clients, we can make these tubes available in different lengths, fin sizes, and other specifications. 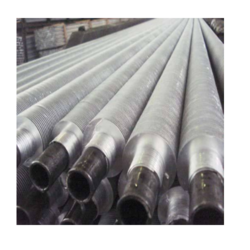 Stringently checked at various stages of production, we are able to ensure defect-free Carbon Steel Finned Tubes to our valuable patrons. 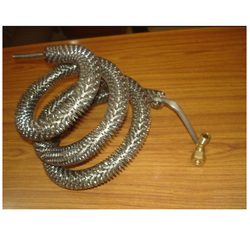 We are the Leading Manufacturer, Supplier, and Exporter of wide range Finned Tubes, Chennai, India. 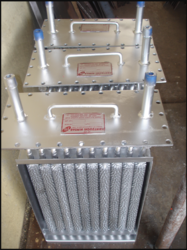 that are manufactured from high-quality materials as per industrial standards. The usage of finned tubes gives heat uniformly and increases the heat output depending upon the height of fins per unit length employed. Further, these can be manufactured in a maximum length of 6 meters and the finning can be controlled from 2 to 9 fins per inch. 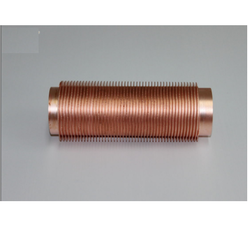 We can manufacture finned tubes in U-Bend, Coil Straight lengths. 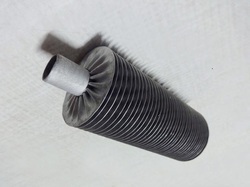 We manufactured finned in various combinations of material. 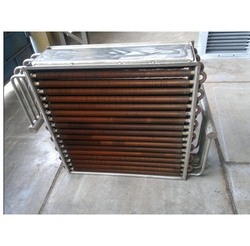 Known for their efficiency and high heat transfer design, Brass Finned Tubes manufactured and supplied by us are widely utilized in numerous heat exchangers. 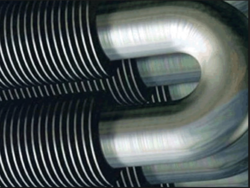 The tubes offered by us are reckoned in the market for their ability to withstand extreme internal pressure. Rugged construction and corrosion resistant features make these brass finned tubes hugely popular in the market. With the aid of our distribution network, we are able to make timely delivery of these finned tubes at clients' end. We are known in the market for our proficiency in manufacturing optimum quality CS Finned Tubes. Before dispatching these finned tubes to the market, we conduct stringent tests on them to ensure their tensile strength, resistance to corrosion abrasion and ability to withstand high-pressure temperature. We manufacture these tubes in various lengths and fin sizes to cater to the variegated requirements of customers. 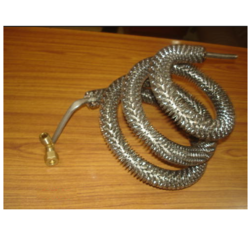 We are the Leading Manufacturer, Supplier, and Exporter of wide range Finned Tubes, Chennai, India. 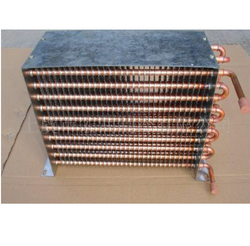 that are manufactured from high-quality materials as per industrial standards. The usage of finned tubes gives heat uniformly and increases the heat output depending upon the height of fins per unit length employed. 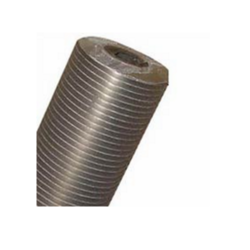 We are engaged in offering Extruded Finned Tubes.The fin type is formed of the aluminium outer tube and an inner tube of selected material. We are well-equipped with advanced facilities, which enable us to manufacture and supply top-notch quality Stainless Steel Finned Tubes. 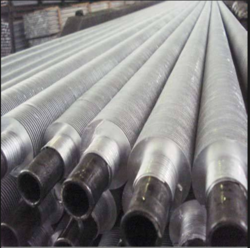 Reckoned for their compliance with prevailing industry standards, these steel finned tubes find optimum usage in refineries, pharmaceutical sector, and sugar mills, among others. Strict TQM policies employed at our end help us in reducing the scope for any kind of manufacturing defects in our range. Made available in various sizes and technical specifications, SS Finned Tubes offered by us effectively cater to the variegated application requirements of clients. 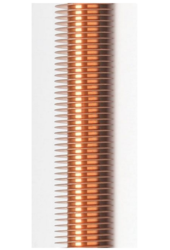 These finned tubes are known to possess the ability to withstand high internal pressure and are extensively utilized in heat exchangers. 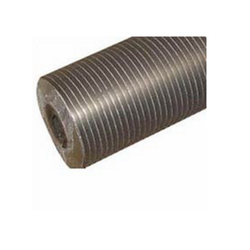 Owing to the quality of these SS finned tubes, these find application in a host of industries. 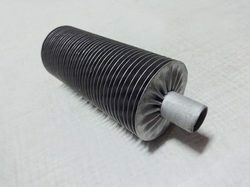 U type Finned Tubes offered to come in precision construction finish. Our array of finned tubes also comprises Aluminum Finned Tubes that comply with prevailing industry standards. Looking for Finned Tubes ?